I have had my eye on large 4K monitors for a while. Last year I bought a Dell P2715Q, 27" of 4K goodness. Whilst this was a very good monitor, I started seeing people with 40" 4K monitors. Initially I was skeptical, but my interest was piqued. 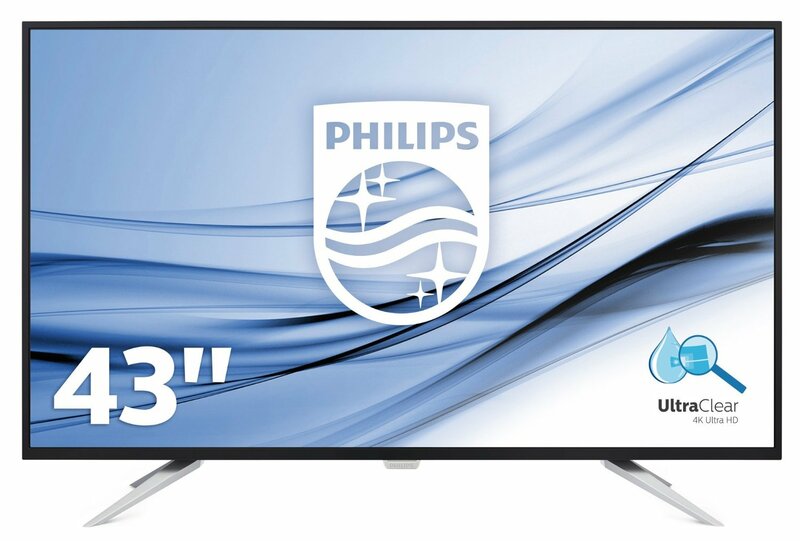 I finally took the plunge and bought the Philips BDM435OUC. 43" of brilliance. The worrying thing is that my monitor is now bigger than my TV. But this is one instance where I can definitely say that bigger is better. Initially, I was disappointed with the pixel-density. The issue is that when you are used to a 4K display on a laptop (I have the XPS 9550), the pixel density is so high that it simply looks amazing. However, when you spread the same number of pixels over a 4K display, you are back to a much more normal looking pixel density. There really isn't anything you can do about this at the moment. Even if you were able to have a higher resolution on a 43", I'm presuming you would be straight back to the scaling issues seen on smaller 4K displays. Even on my 27" Dell, I would have to run 4K with scaling (one of the main reasons I got rid of it). With the Philips, you run it at native 4K (no scaling). Getting away from scaling was one of the biggest bonuses of this display. The sad fact is that scaling in Windows is simply not very good at the moment. I have written about this before and whilst it is a lot better in Windows 10, it just isn't there yet. Whilst the screen is definitely big, you very quickly get used to it. 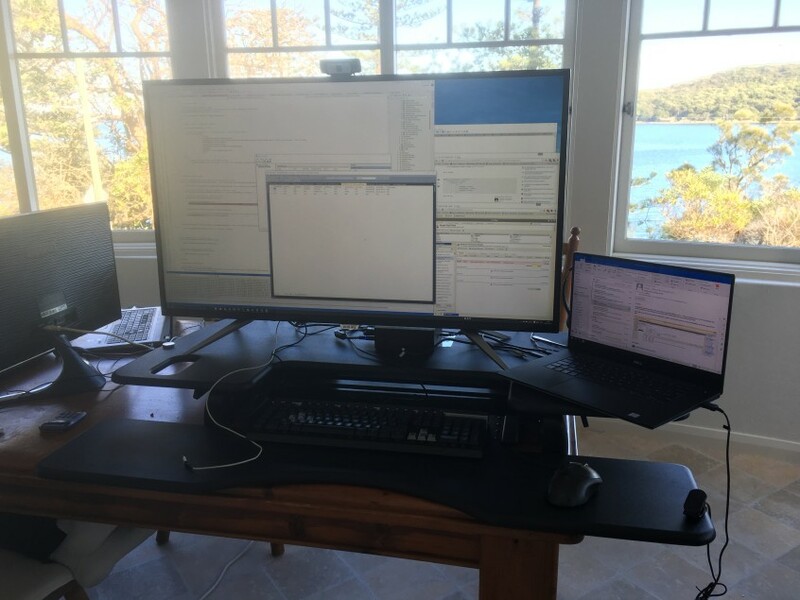 Having such a big monitor like this does definitely change your habits. For example, I don't maximise any windows anymore. This is because a maximised windows are basically useless. There is so much dead space. It slows you down as you need to turn your head to move to the edges of the window, which is where all the interesting bits are; scroll, close, minimise etc. I tried using various custom window snapping tools and whilst some were good, I found I just didn't care enough. The screen is so big, you end up with lots of windows open all overlapping eachother. You simply click on the visible portion of the desired window to give it focus. It sounds clumsy, but it works for me. There are some quirks, but these are mainly in software that force a full screen experience. I think this monitor is fantastic value for the price point. Whilst it seems excessive for a home office, once you have one, you won't go back. It's the same leap as VHS to DVD or iPhone 3GS to iPhone 4. Once you have the DVD or iPhone 4, the previous versions seem awful in comparison. This is how I feel when I use a "normal" size monitor now.